The ICONOMI Digital Assets Management Platform is where DAA managers and investors meet. DAA managers try out their winning digital assets management strategies and share them with the community. Investors choose between various DAAs and invest their digital assets into those they find most promising. Good performance builds the DAA manager’s reputation and attracts new investors, who get access to proven expertise and results in return. 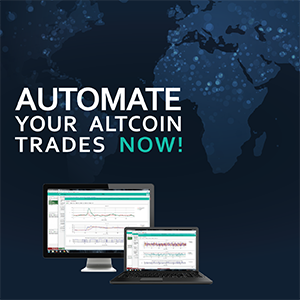 Investors can choose from a range of Digital Asset Arrays™, searching by performance, market cap, and other technical parameters. To make sure your digital assets are securely stored, avoid hassle by using ICONOMI. We take the utmost care of storage in multi-sig protected cold wallets. ICONOMI is a group of talented teammates with a variety of expertise and knowledge. Constantly working in an atmosphere of consideration, experimentation, and creation, strong values and relations are even more important to us. Since progress is never neither swift nor easy, we support a sense of togetherness and diversity of perspectives. ICONOMI offers the simplest way to start your DAA. Sign up, deposit digital assets and you are ready to go. Manage your digital assets 24/7. Fast withdrawals and no contract lock-ins. A growing list of supported value tokens with deep liquidity. Digital assets require extra layers of security. The majority of assets are permanently stored in multi-sig protected cold wallets, so you can enjoy the safety of physical bank vaults. All exchanges are executed on the markets. No small print or hidden costs. Purchase our cross section of digital assets in seconds. Low fees and easy sign-up. Diversify your portfolio and minimize risk.